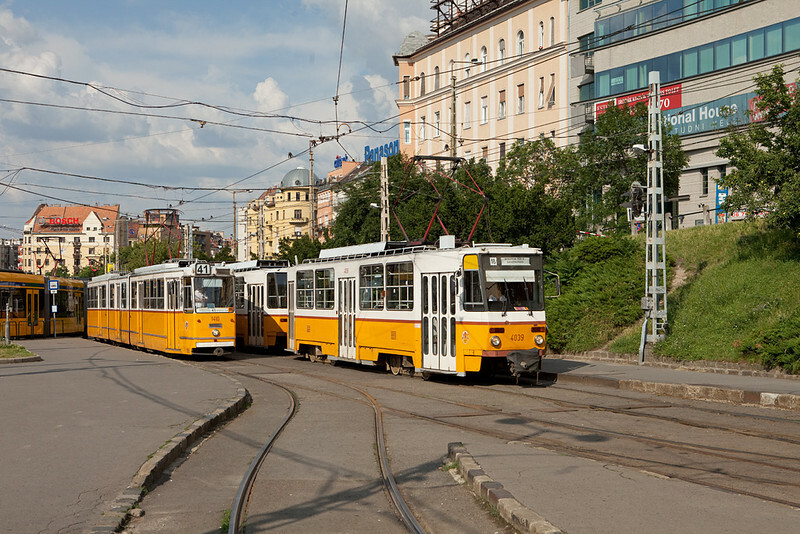 A gallery of streetcars (variously called trams or trolleys, depending on where you're from). Budapest - Ganz CSMG2 1410 on line 41 and Tatra T5C5 4039 on line 18 at Moszkva Ter. For more information about the Budapest tram network, check out the fantastically detailed Tram-Hiker's Guide to Budapest .